Yellowknife sits atop the Canadian Shield, a large expanse of ancient bedrock where many innocuous stones are a fascinating history of our planet going back billions of years. The community owes its name to Dene who traveled between Great Slave Lake and the Arctic Ocean. Explorer Samuel Hearne called them the ‘Copper Indians’ in 1771 because of the implements made from native copper. Explorers and traders, observing their blade tools, coined the term Redknife, and later, Yellowknife, to describe the tribe. The Yellowknife River, a major corridor of travel for these Dene, was put on the maps in the 19th century. Many aboriginal people are descendants of the Yellowknives and Tlicho Dene and continue to practice traditional lifestyles from the communities of Detah and N’Dilo. The fur trade in northern Canada saw the first European settlement near here in 1789, when Alexander Mackenzie canoed into Great Slave Lake and instructed his voyageurs to trade with the Dene. This activity was centered at the little outpost Old Fort Providence, 20 kilometers southeast of Yellowknife Bay. The modern city we know today got its start after the discovery of rich minerals. Gold-hungry Klondikers were the first to stake a claim in 1898. Later, using the incredibly versatile bush plane, prospectors returned with gusto, and it was the 1934 discovery of visible gold by Johnny Baker on the east side of Yellowknife Bay that gave rise to a commercial settlement. More gold was staked and by 1938 the bay was the site of a boom town. Con Mine poured its first gold brick on September 5, 1938. Early Yellowknife was a haphazard collection of tents, log shacks, and businesses scattered around the protective harbour of the Bay, what we now call “Old Town”. The Corona Inn, Vicky Lepine’s laundry, Wildcat Café, Weaver & Devore Trading, Sutherland’s Drugs, and Vic Ingraham’s hotel were among the first. Yellowknife thrived with prospecting and mining and it was also a hub for trapping, commerce, transportation, and government activity. The end of the boom was precipitated by the prolonged war in Europe when all the men left to fight. A new rush started when Giant Mine struck gold in 1944 leading to the start of production there in 1948. 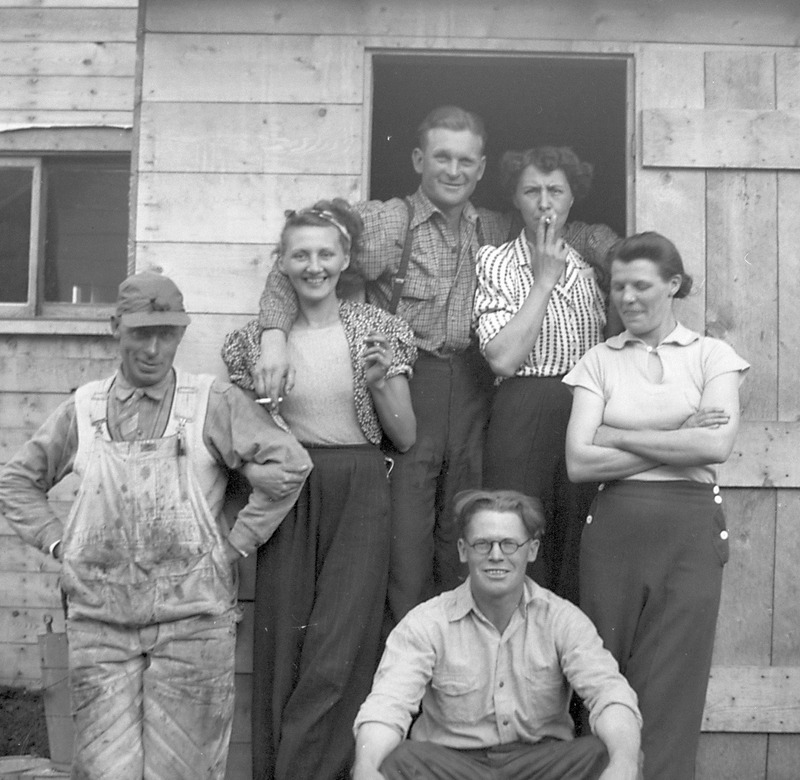 With no room for expansion on crowded Yellowknife Bay, a new townsite was started up the hill in 1945. Governance grew from an Ottawa-controlled administrative district in 1939 to a fully-elected municipality in 1953. For many years Yellowknife was accessible primarily by water. Most of the bulk freight was brought up via barge traffic from Alberta through the Slave River system. In the winter, freight was consigned north by tractor train and ice road trucks. Year-round passenger and mail service was through scheduled airlines from Edmonton. In 1960, isolation ended when a highway connected to the outside world. Yellowknife came of age when declared capital of the Northwest Territories in 1967. The city continued as a regional center for mining activity and grew with the discovery of diamonds in 1991 and still prospers even with the end of gold mining in 2004. Over eighty years after the discovery of gold, Yellowknife’s future still shines bright thanks to the treasures beneath our feet. Preserving and celebrating the community’s story is the goal of our membership. The Society is currently renovating the old Giant Mine recreation hall, once the social hub of town, as a main exhibit hall to showcase the story of Yellowknife and its diverse people. To achieve our goals, we need your support! Donations, in kind services, stories, photographs, artifacts, ideas, volunteers, and new members! Let’s honour our Yellowknife community elders and past generations by building a museum and heritage centre the entire city can be proud of!